JERUSALEM — Israel’s prime minister turned to President-elect Donald Trump to help head off a critical U.N. resolution after learning that the White House did not intend to veto the measure, an Israeli official said Friday. The admission marked a final chapter in the icy relations between Prime Minister Benjamin Netanyahu and President Barack Obama over the last eight years, and signaled an era of close ties between Israel and the incoming Trump administration. But under heavy Israeli pressure, Egypt called off a planned vote in the Security Council hours before it was to take place. 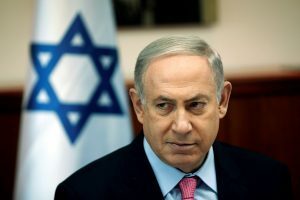 In the diplomatic activity ahead of the postponement, both Netanyahu and Trump issued nearly identical statements urging the U.S. to veto the measure. “After becoming aware that the administration would not veto the anti-Israel resolution, Israeli officials reached out to Trump’s transition team to ask for the president-elect’s help to avert the resolution,” the Israeli official said, speaking on condition of anonymity because he was discussing behind-the-scenes diplomatic activity. On Friday, Egypt said its president had received a call from Trump in which they both agreed to give the incoming U.S. administration a chance to try and resolve the Israeli-Palestinian conflict. The call came hours after Egypt indefinitely postponed the U.N. vote. On Friday, Egypt said its president had received a call from Trump in which they both agreed to give the incoming U.S. administration a chance to try and resolve the Israeli-Palestinian conflict. A senior Palestinian official, speaking anonymously according to protocol, said Egypt didn’t consult with the Palestinians about delaying the vote and it was a “complete shock” for them. Egypt represents Arab states on the security council. Egypt is the first Arab country to make peace with Israel, and the two countries have close security ties in a shared struggle against Islamic militants. He said attempts are still underway to bring the resolution to vote after Egypt called it off as there are still several other sponsors— Venezuela, Malaysia, Senegal and New Zealand — that could present it. The U.S., along with the Palestinians and nearly all of the international community, opposes Israeli settlements in the West Bank and east Jerusalem as obstacles to peace. Some 600,000 Israelis live in the two territories, which the Palestinians seek as part of a future independent state. Israel captured both areas in the 1967 Mideast war. Trump has signaled he will be far more sympathetic to Israel. His campaign platform made no mention of the establishment of a Palestinian state, a core policy objective of Democratic and Republican presidents over the past two decades. He also has vowed to move the U.S. Embassy from Tel Aviv to Jerusalem, a move that would put the U.S. at odds with the Palestinians and almost the entire remainder of the international community, and his pick for ambassador to Israel, Jewish-American lawyer David Friedman, is a donor and vocal supporter of the settlements. The proposed resolution would have been more than symbolic. While it did not call for imposing sanctions on Israel, its language could have hindered Israel’s negotiating position in future peace talks. Given the widespread international opposition to the settlements, it would have been nearly impossible for the Trump administration to reverse it. It remained unclear Friday whether the measure would come up for a vote in the council before Obama leaves office.